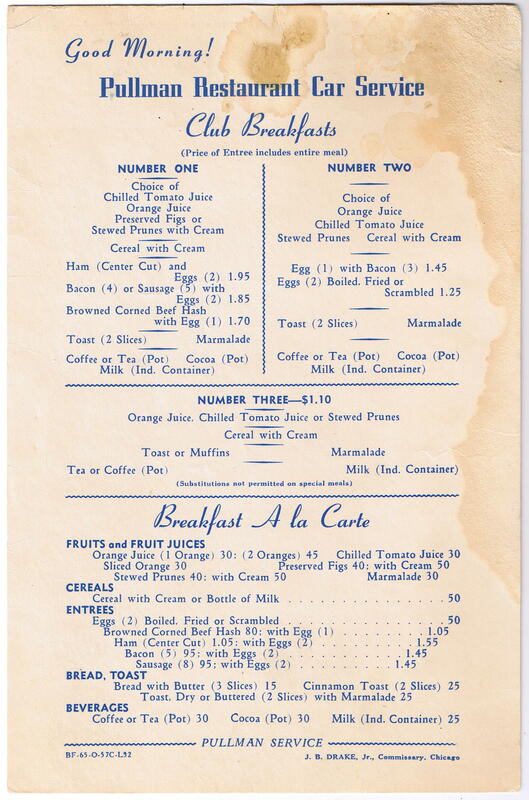 Description This item is a Pullman Buffet Service Breakfast menu from 1952 with condition issues. A single sided menu printed in standard royal blue ink. With a print run of 5,700 (57C in the date code of BF-65-O-57C-L52) and no mention of a specific train or railroad, menus like this were used on multiple routes.